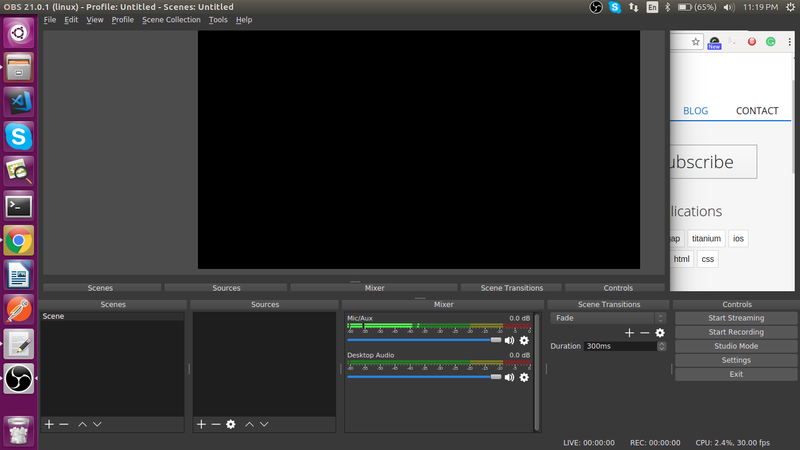 Open Broadcaster Software(OBS) is free open source, cross-platform video recording, and live streaming software. It's absolutely free software with the rich application. It started as a small project but got popularity due to its stability and easy to use. OBS supports all streaming platforms like the twitch, mixer, youtube, and facebook etc. OBS software capturing and mixing real-time audio/video with high performance. We can create pictures made up of multiple sources including window captures, images, text, browser windows, webcams and capture cards etc. We can create an unlimited picture you can switch between equivalent via custom development. Perceptive audio mixer with per-source filters such as noise gate, noise suppression, and gain. Take full control with VST plugin support. Capable and easy to use configuration options. we can add new Sources, duplicate existing ones, and adjust their properties effortlessly. 1 You need to install OpenGL for checking which version is supported by your system. 2 xserver-xorg version 1.18.4 is required to avoid potential performance issues with certain features in OBS. 3 You need to install FFmpeg with this command. 4 You can install OBS by these commands. After Install your OBS software will be display like this.